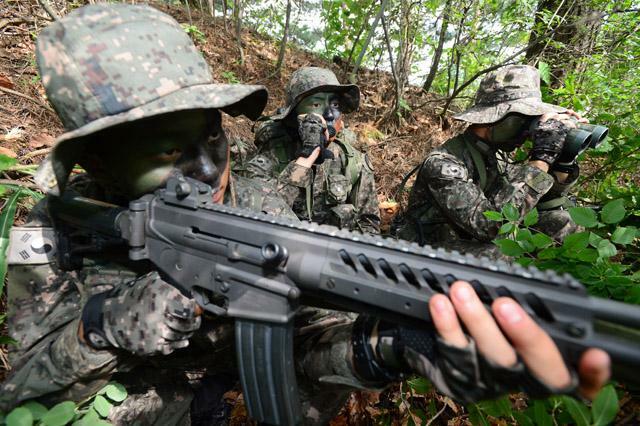 Korean Military started to get some limited numbers of updated service rifle named K2C1. The most notable change is use of Picatinny rail on top and there are holes for what is assumed to be optional rail system attachment on the side. Rear sight seems to be a detachable variant, similar to M249 sight. Other improvement is collapsible and folding stock. K2's original stock was a fixed folding stock, but K2C1 seems to have M4-style collapsible stock. An internediate version of the rifle was witnessed in Iraq last year or so, but it lacked the Picatinny rail system.